Bad Bevensen is known for its thermal iodine brine spring and serene, natural surroundings. 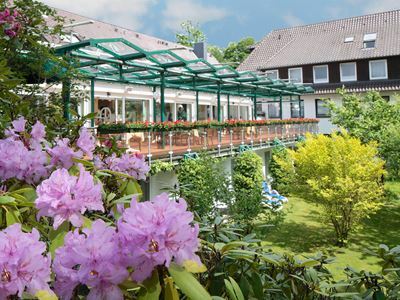 Our hotel, situated directly on the edge of the forest and close to the spa gardens, offers a welcoming familial atmosphere, cozy interiors, the wonderful FaehrhausSpa and nearby destinations such as Uelzen, the river Elbe, or the Lueneburg Heathland. Our large restaurant and Mediterranean winter garden offer sophisticated regional fare for your dining pleasure. We also offer a café and terrace to ensure that our guests can enjoy whatever their hearts desire at any time of the day. 1 Nacht mit vielen Eindrücken - die kurze Verschnaufpause für zwischendurch. Ein paar Tage ausspannen und sich verwöhnen lassen - Das haben Sie sich verdient.Mit dieser Komposition nehmen Sie sich die Zeit für Ihre Gesundheit. Eine ausgewogene Kombination aus medizinischen Anwendungen und vitalisierender Kosmetik verwöhnen Sie von Kopf bis Fuß – ein purer Genuss! Sie haben es sich verdient. 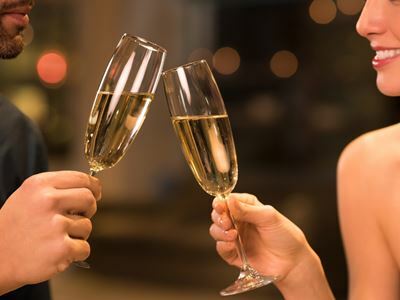 Urlaub vom AlltagPrickelnde Erlebnisse, sprudelnde Emotionen und perlende Erinnerungen – mit den Champagner Träumen der Ringhotels. Ein Gewinn für Ihre Gesundheit: Wellness, Massagen und Schwimmen machen Sie fit!Eine Kombination aus Wellnessanwendung, Massagen und Schwimmen ist ein Genuss für Ihren Körper und Ihre Seele. Genießen, entspannen und sich von unserem Beauty & Wellness-Team verwöhnen lassen.Einfach mal raus aus dem täglichen Trott, abschalten und in Ruhe entspannen. Wir machen Wohlfühlen lebendig und greifbar. Our spa hotel is located in a lovely village in the Lueneburg Heath – an ideal vacation destination amidst scenic hills, forests, and endless fields of heath. Enjoy great comfort, friendly service and gorgeous views. Our surroundings include 6 golf courses and a wide choice of attractive excursions, such as Lueneburg. Our hotel, with its spacious, green grounds, is a fount of relaxation: guests reside in comfortable rooms and enjoy the pleasure of regional fresh food. We offer wellness and spa facilities, gym and shops. Golf enthusiasts will find an 18-hole course nearby. All areas in the hotel can be reached without steps. 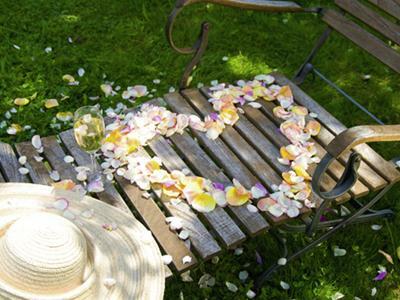 Our country hotel is in an idyllic location, within the Hamburg-Bremen-Hanover triangle. Enjoy wonderful bicycle outings or a carriage ride, revitalize in our sauna oasis at any time and discover the many wildlife animals nearby. We also offer space for your celebrations for up to 1700 persons.